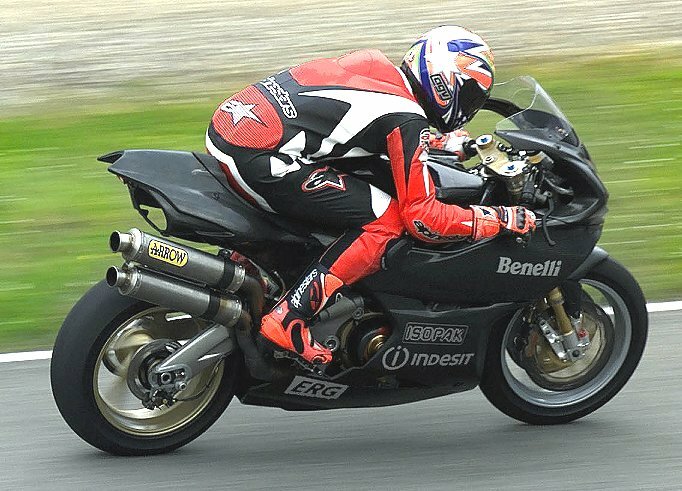 According to Benelli (see release below), Australian Peter Goddard has been testing the new Tornado 900 triple in Italy, with an eye toward a race debut in the World Superbike championship on June 24 at San Marino. 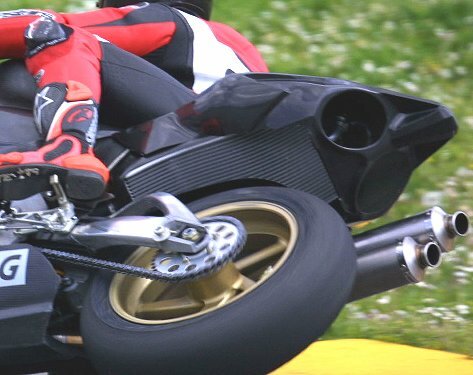 These are the best photos we have seen of the bike, and they include a close up of the unique radiator location (beneath the tail unit). charge to take Tornado 900 in competition. a long time the bike in the definitive version for frame and cycling parts. sufficient to take an interesting position in the starting line. all, from an innovating cooling system with a rear radiator.